Make a more confident glaucoma risk assessment with Corneal Hysteresis – a more objective predictor of glaucoma progression. Ocular Response Analyzer is made in the USA. Make a more confident glaucoma risk assessment, with Corneal Hysteresis. 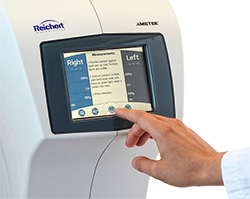 Only Ocular Response Analyzer® G3 from Reichert® measures Corneal Hysteresis (CH), a superior predictor of glaucoma progression, which is more associated with visual field progression than CCT or IOP.1,3,5 Ocular Response Analyzer helps add clarity to your glaucoma decision making process. CPT Code 92145, was published for the Corneal Hysteresis measurement provided by Ocular Response Analyzer.. Significance of Corneal Hysteresis in predicting glaucoma development, in 25 seconds with Felipe Medeiros, MD. Felipe Medeiros, MD briefly describes the relevance of his new publication: A Prospective Longitudinal Study to Investigate Corneal Hysteresis as a Risk Factor for Predicting Development of Glaucoma. Corneal Hysteresis was found to be independently more predictive of conversion to glaucoma than other risk factors, including IOP and CCT. 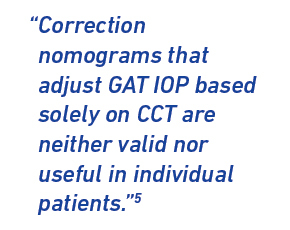 Nathan Radcliffe, MD and Christopher Starr, MD, both of Weill Cornell Medical College, New York-Presbyterian Hospital, discuss the clinical applications in glaucoma of Corneal Hysteresis (CH) and why Ocular Response Analyzer® should be brought into routine glaucoma management. How is Corneal Hysteresis useful in glaucoma decision making, J. Thimons, OD. 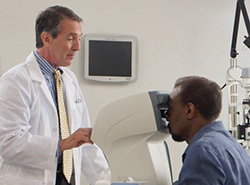 Dr. James Thimons, OD, discusses the use of the Ocular Response Analyzer and the importance of its Corneal Hysteresis and IOPcc measurements in the monitoring, diagnosis, and treatment of glaucoma. Here learn what Corneal Hysteresis is, why it is an essential glaucoma risk factor, and how to incorporate this measurement into daily clinical practice. In addition, Dr. Thimons explains why corneal biomechanics influence IOP measurement accuracy and how the IOPcc measurement provides a better assessment of the true intraocular pressure. Felipe Medeiros, MD, Professor at Duke Ophthalmology, describes his recent study using Corneal Hysteresis (CH) — a measure of the eye’s viscoelastic biomechanics properties — for predicting glaucoma progression. Dr. Medeiros explains the importance of collecting Corneal Hysteresis measurements to better determine patients at high risk for glaucoma. Davinder S. Grover, MD MPH speaks about Corneal Hysteresis (CH) as an assessment of the cornea's ability to absorb and dissipate energy, which is different from thickness or topography, which are geometrical attributes of the cornea. Corneal Hysteresis is independently predictive of visual field progression in glaucoma. 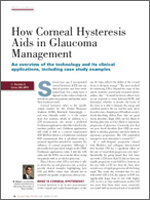 How Corneal Hysteresis Aids in Glaucoma Management: An overview of the technology and its clinical applications, including case study examples. 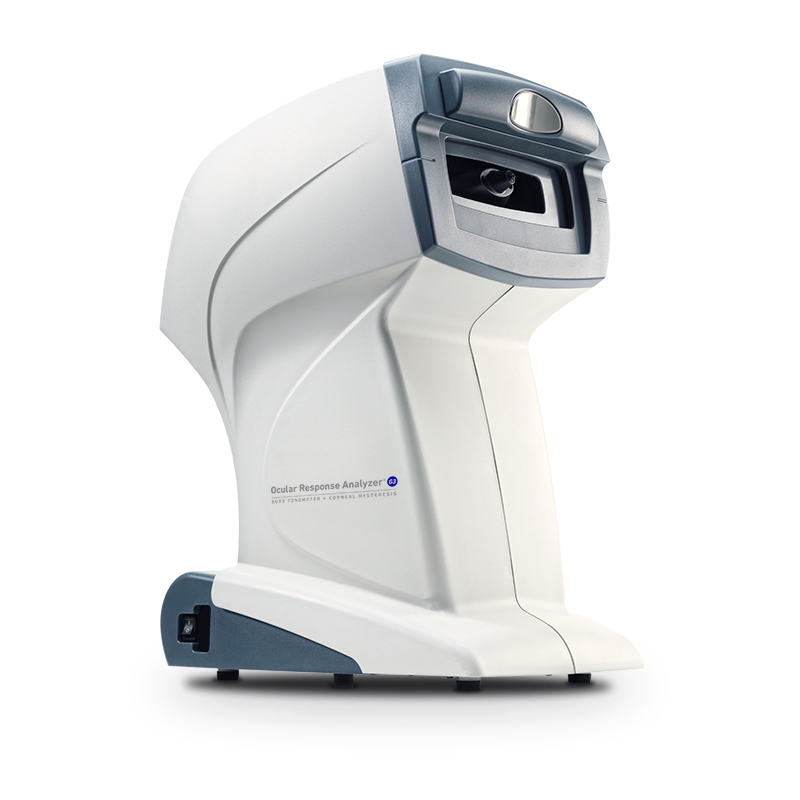 Read about how Corneal Hysteresis and IOPcc, provided by the Ocular Response Analyzer G3, can help you identify glaucoma patients who are at the greatest risk for future progression, allowing you to allocate the appropriate level of resources to the patients who need it most. As seen in Ophthalmology Management/Glaucoma Physician. A group of glaucoma specialists (including Robert M. Weinreb, MD; Jamie D. Brandt, MD; Nathan M. Radcliffe, MD; Felipe A. Medeiros, MD) discuss data supporting the role of Corneal Hysteresis (CH)–a measure of the eye’s viscoelastic biomechanical properties–in glaucoma risk assessment. 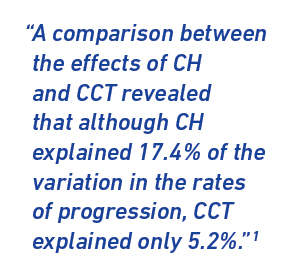 The experts give a historical perspective on CH, explain how it works as a potential biomarker, indicate which patients are good candidates and provide guidance on incorporating CH into clinical practice, highlighting important billing considerations. Importantly, they demonstrate how recent clinical research findings show compelling evidence that CH is a powerful asset for assessing patients at high risk for developing glaucoma and disease progression. Copyright 2015 Jobson Medical Information LLC. 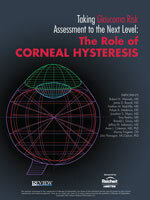 Corneal Hysteresis (CH): An indispensable tool in the glaucoma decision making process. Corneal Hysteresis has consistently shown to be predictive of, or strongly associated with, glaucoma progression, and more powerfully so, than key indicators such as IOP and CCT, making it an indispensable tool in the glaucoma decision making process. Glaucoma is the second leading cause of irreversible blindness in the world. Despite the fact that there are a variety of well-known risk factors, it can be difficult to diagnose. Beyond diagnosing, predicting an individual patient’s rate of future glaucoma progression is often extremely challenging for clinicians. The Ocular Hypertension Treatment Study (OHTS), and similar studies, have brought to light the relevance of central corneal thickness (CCT) in glaucoma. Numerous studies utilizing the Ocular Response Analyzer have confirmed the importance of the cornea in glaucoma decision making and, in fact, demonstrated that Corneal Hysteresis is of far greater significance than CCT. Corneal Compensated IOP (IOPcc): Less affected by corneal properties. Ocular Response Analyzer takes corneal biomechanical properties into consideration, providing Corneal Compensated IOP (IOPcc). The patented bi-directional applanation system enables the measurement of Corneal Hysteresis and IOPcc. Intraocular pressure (IOP) is the only modifiable risk factor for glaucoma. As such, accurate measurement of IOP is critical for proper diagnosis and management. However, it is widely recognized that Goldmann and other tonometers are influenced by corneal properties. While corneal thickness has been accepted as an important factor contributing to the accuracy of IOP measurements, it has been shown that attempting to adjust IOP values by means of a corneal thickness correction formula does not add any value to the glaucoma decision making process. It is biomechanics, not thickness, that predominantly influence the accuracy of IOP measurements. Corneal biomechanical properties can affect the accuracy of measured IOP values by as much as 17 mmHg in normal eyes3 and more than 20 mmHg in eyes with corneal pathology.4 IOPcc effectively eliminates these influences on the pressure measurement. 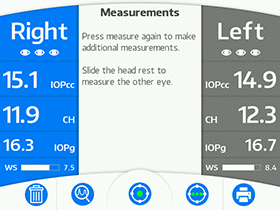 Compensated IOP (IOPcc) - A pressure measurement that is less affected by the cornea than other methods of tonometry. IOPcc is patented technology, exclusive to Reichert. How is Corneal Hysteresis measured? 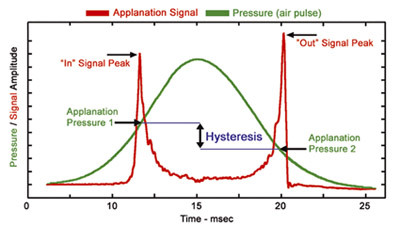 Corneal Hysteresis is the difference in the inward and outward pressure values obtained during the patented dynamic bi-directional applanation process utilized by the Ocular Response Analyzer. It is a characterization of the cornea’s ability to absorb and dissipate energy, which is a function of visco-elastic biomechanical properties of the cornea. 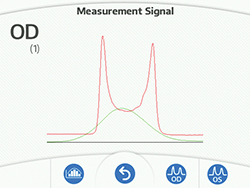 Measurements could not be quicker or simpler with Ocular Response Analyzer G3. A single touch of the intuitive user interface initiates a fully automated alignment and measurement, simultaneously displaying Corneal Compensated IOP (IOPcc), Corneal Hysteresis (CH), Goldmann correlated IOP (IOPg), and Waveform Score (WS). The advanced, patent-pending Waveform Score feature, combined with Reichert’s unique intelligent averaging technique, enhances measurement reliability and repeatability so operators can be confident in the accuracy of the measurement results. Operators can easily access all functions through the integrated touch screen display, including export of patient data for effortless EMR integration. Delegate your tonometry and Corneal Hysteresis measurements to trained technicians with ease. Non-contact saves time and money. Because the Ocular Response Analyzer G3 measurement is rapid and non-contact the use of topical anesthesia and/or fluorescein drops is not required, saving time and money. In addition, the risk of cross contamination is greatly reduced. The need for time-consuming sterilization of tonometer prisms, costly replacement of prisms, or use of expensive disposables is eliminated. Unique design with patients in mind. Ocular Response Analyzer G3 is designed with no chinrest, which saves time by simplifying patient positioning. This unique design also makes patients more comfortable and less intimidated by not feeling confined in a chinrest. Patented air pulse, maximum comfort. CPT® Code 92145 published for Corneal Hysteresis. A new CPT code, 92145, has been published specifically for the Corneal Hysteresis measurement provided by the Reichert® Ocular Response Analyzer®. 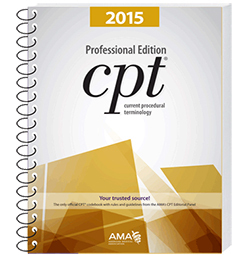 In the 2015 CPT handbook, a new, permanent, Category I CPT code, 92145 (Corneal hysteresis determination, by air impulse stimulation, unilateral or bilateral, with interpretation and report), replaces the prior temporary, Category III CPT code, 0181T. The new code took effect January 1, 2015. For more information regarding CPT Code 92145, please consult your medical billing specialist. 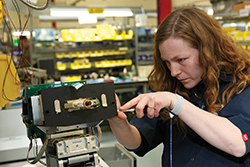 Ocular Response Analyzer G3 is proudly made in the USA at our state-of-the-art world headquarters in Buffalo, New York. Decades of Glaucoma Care Innovation. “The need for a non-contact tonometer was so obvious,” said Grolman, who would spend the next 10 years of his life designing and testing the original AO Non-Contact Tonometer. 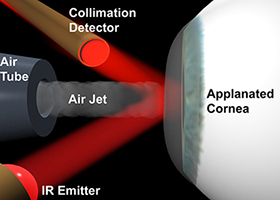 Using an air pulse with electro-optical detection to provide Goldmann-like measurements, the non-contact tonometer enabled user-friendly measurement of IOP without the need for topical anesthesia or corneal contact. Unveiled in 1971, the NCT I was the buzz of the entire industry. American Optical, now Reichert Technologies, continued to innovate on the concept, introducing generation after generation of non-contact tonometer. 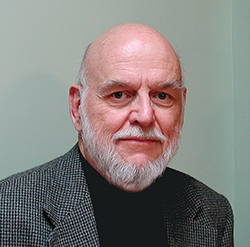 Fast forward to 2001 when David Luce, Ph.D. discovered that, using the same basic measurement process, information about corneal biomechanics could be extracted from the NCT measurement signal. The Corneal Hysteresis measurement was born and the instrument that became known as the Ocular Response Analyzer was made available for sale in 2005. At long last, the topic of corneal biomechanics moved out of the laboratory and into the clinic, spawning entire new sections on conference programs and launching the subject to the forefront of the ophthalmic publication landscape. Reichert remains the world-leader in tonometry products and has become the pioneering innovator behind Corneal Hysteresis. clinical implications of these measurements in glaucoma. 1 - Medeiros FA, Meira-Freitas D, Lisboa R, Kuang TM, Zangwill LM, Weinreb RN. Corneal hysteresis as a risk factor for glaucoma progression: a prospective longitudinal study. Ophthalmology. 2013 Aug;120(8):1533-40. 2 - Felipe A. Medeiros, MD and Robert N. Weinreb, MD. Evaluation of the Influence of Corneal Biomechanical Properties on Intraocular Pressure Measurements Using the Ocular Response Analyzer. J Glaucoma 2006;15:364–370. 3 - Liu J, Roberts CJ. Influence of corneal biomechanical properties on intraocular pressure measurement: quantitative analysis. J Cataract Refract Surg. 2005 Jan;31(1):146-55. 4 - Herbert E. Kaufman, MD. Pressure Measurement: Which Tonometer? Symposium on Glaucoma. Vol 11, number 2. 5 - Robert N. Weinreb, James D. Brandt, David Garway-Heath and Felipe Medeiros World Glaucoma Association on Intraocular Pressure; Consensus Series 4; May 5, 2007, Pg 18. 6 - Aashish Anand, MD, Carlos Gustavo De Moraes, MD, Christopher C Teng, MD, Celso Tello, MD, Jeffrey M Liebmann, MD Robert Ritch, MD. Lower Corneal Hysteresis Predicts Laterality in Asymmetric Open Angle Glaucoma, IOVS Papers in Press. Published on June 23, 2010 as Manuscript iovs.10-5580. 7 - Morita T, Shoji N, Kamiya K, Hagishima M, Fujimura F, Shimizu K. Intraocular pressure measured by dynamic contour tonometer and ocular response analyzer in normal tension glaucoma. Graefes Arch Clin Exp Ophthalmol DOI 10.1007/s00417-009-1169-4. Reichert, Reichert Technologies, and Ocular Response Analyzer are registered trademarks of Reichert, Inc. AMETEK is a registered trademark of AMETEK, Inc. CPT is a registered trademark of the American Medical Association. Patented Corneal Response Technology® provides corneal-compensated IOP (IOPcc), clinically superior to other methods of tonometry in the evaluation of glaucoma risk.